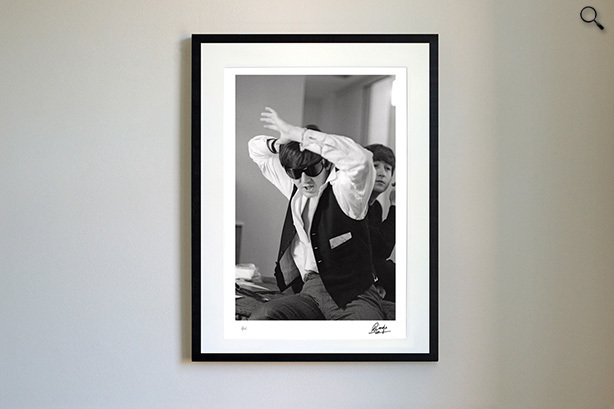 Ringo Starr unveils eight new signed portraits of his Beatles bandmates in the PHOTOGRAPH Portfolio 2015. Ringo shows us George in a moment of quiet reflection; John and Paul recording in the studio; Merseybeat meetings; a seventies self-portrait and The Beatles in India. 50 years ago, Ringo shot on both black-and-white and vibrant colour films, and experimented with psychedelic fish-eye lens effects. Reproduced from the negative for the first time as large-format, museum-quality prints, only 25 numbered copies will be created worldwide. Each proof is checked and each artwork signed by Ringo Starr.